Long eaton round table got off to a flying start on the first day of there Christmas collections this year. 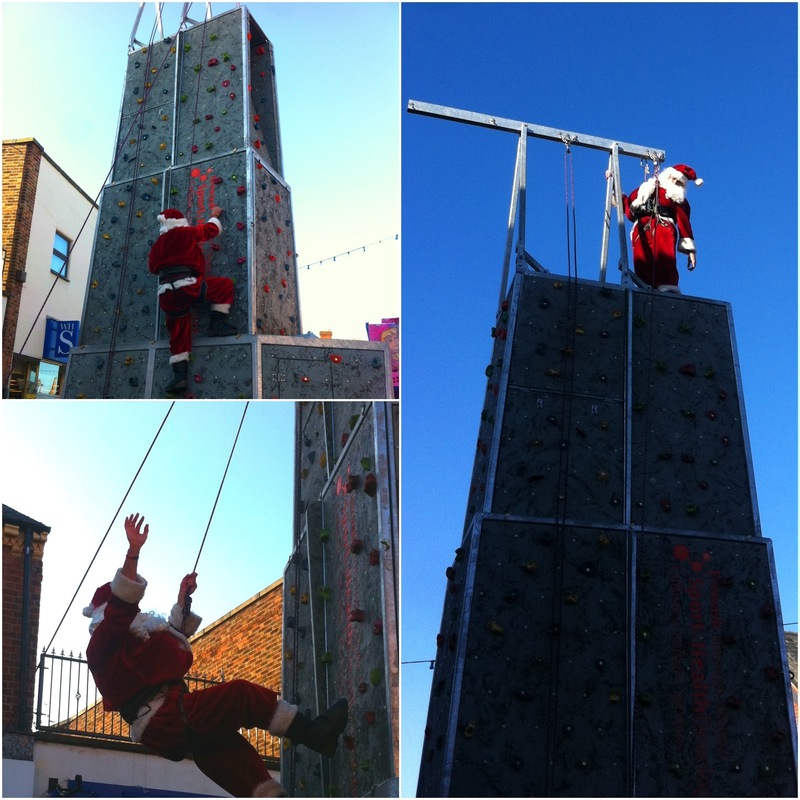 Santa decided he needed some practice climbing chimneys in preparation of the big day. So the guys at Erewash extreme kindly allowed him a go on their mobile rock face. We must say how agile he was compared to all the other climbers, he was up to the rooftops in no time at all, lots of practice we presume. If you want say hi to Santa or just add a little to the christmas collection he will on the long eaton high street again this Saturday. If you can’t make it to the high street at the weekend, Santa and his sleigh will be making the rounds to a street near you over the next two weeks ( see previous post for dates/locations ) All monies raised by long eaton round table directly benefit local charitable causes.